Former acting A.G. Sally Yates' testimony yesterday on Michael Flynn dominated today's briefing. 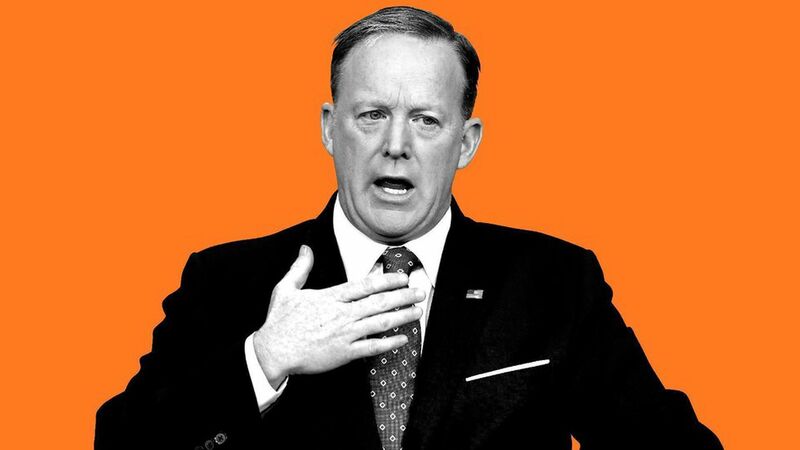 When asked why Trump waited 18 days to fire Flynn following Yates' warnings, Spicer suggested that the administration didn't want to "jump the gun" on what Yates said since she is "a political opponent of the president." He also noted that Flynn had "an honorable career... the president doesn't want to smear a good man." On Sally Yates: Spicer said the administration was skeptical of Yates since she was "widely rumored" to be a "strong supporter" of Hillary Clinton. Yates on Trump travel ban: Spicer said Yates' decision not to defend Trump's travel ban vindicated the WH's decision to not tell her of the ban ahead of time, as well as their mistrust of her. On the long delay between finding out Flynn misled the VP and his resignation: Meetings between Flynn and chief of staff/VP, no known restrictions on his access, WH wanted to make sure "we were doing the right thing." What would winning in Afghanistan mean to Trump? Reducing the threat when it comes to ISIS and the Taliban. How will sending 3,000 more troops to Afghanistan end the war when 100,000 didn't? "That's a very Washington question." On arming Syrian Kurds to help defeat ISIS: "The president has authorized the Office of Defense to equip Kurdish elements." Paris Climate Agreement: Trump won't be making an announcement on the Paris agreement until after he returns from the G7 summit, said Spicer. He wants to meet with his environmental team first. Crown prince of United Arab Emirates will visit the WH on May 15.